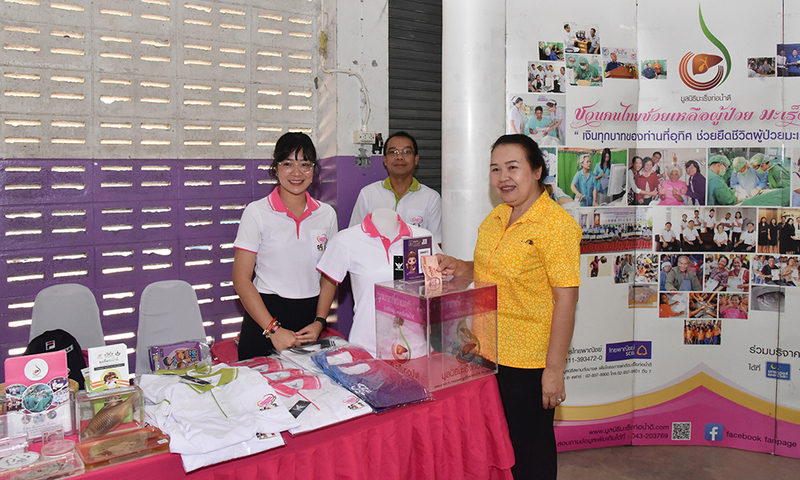 Our Foundation joined CASCAP for the 83rd ‘National Agenda’ CCA screening in Pa Sang District, Lamphun Province. Foundation Vice President, Assoc. Prof. Narong Khuntikeo MD. gave a lecture on liver fluke and CCA and expressed the ways to avoid the risks and promote disease prevention. Our Foundation information booth and staff were present to provide attendees with information about the disease and raise awareness. We are grateful for the generosity of all those who made donations to the foundation, your support is so important to the work we do.